In my endless quest for news I read lots of stories and today, thanks to a lead from Scott Meslow from The Week, I saw an opinion piece by Ann Coulter deriding everything soccer. Normally it’s not something I would take on but I’m going to make an exception in this case because there is a small part of me that thinks Coulter was trying to be funny. Ann, trust me on this, the piece comes across as angry, petty, and just plain stupid. For the purposes of full disclosure, I’m a soccer fan and all my great-grandparents were born right here in the United States of America. I’ve been watching soccer since Soccer Made in Germany was on PBS back in the 1970’s. I became a big fan of the Dutch side Ajax when they were dominating the soccer world in the mid 1990’s. I’ve rooted for Holland on the world stage ever since. That’s not really the point of course. I can understand why some people don’t like soccer. It’s a nuanced game with a huge amount of continuous action but relatively little goal scoring. It’s not setup well for television as there are no natural breaks in the game except half-time. If you don’t like soccer, then don’t watch it. I’m not a big fan of car racing. I’ve got a couple of buddies who love it. I don’t get it, I don’t enjoy it, I don’t watch. I don’t deride them. They love it the same way I love baseball. Good for them. Enjoy life, do what you love. Coulter seems to be just angry and plain wrong so often it’s astonishing. Her first point is that individual achievement has no meaning in soccer. Tell that to Messi and Ronaldo. She argues that boys and girls play soccer together and therefore it’s coeducational ignoring that girls play football until a certain level and it’s the same in soccer. She argues that humiliation and injury aren’t part of soccer and these are apparently things to be desired. Her point is wrong and wrong. Injuries and embarrassments happen in soccer all too frequently and it’s a shame they do. Each point, one after the next, is wrong. This is when I started to think maybe she was writing satirically, trying to be funny. But she’s not. It’s not light-hearted banter, or perhaps I just don’t have a sense of humor. It’s mean. It’s reaching. It’s trying to find reasons to dislike something and associate anyone who likes it with a political party. I’m absolutely certain there are many Republicans who love soccer and many Democrats as well and at least one Libertarian (me). I’m positive political affiliation and soccer love are not in lockstep with one another. And I suppose here’s my real point. If you like something, I’m glad that you like it. It’s great you enjoy making Star Wars Lego TIE-Fighters. I’m thrilled you get enjoyment from doing it. I’m happy that you’re happy. What sort of person hates the fact that someone else is enjoying themselves? It’s just nasty. It’s vicious. It’s an indication of a terrible poison burning inside a person. How can anyone be so angry because someone else is having fun at a big old soccer party? Of course the other possibility is that it was an attempt at satire. Then it’s just bad writing. What do you think? A poisoned mind that hates everything different? Failed satire? Successful satire and I’m just missing it? I’d particularly like to hear from anyone who is a Coulter fan. Purchase The Broken Throne today! There’s a rather humorous John Oliver video making the rounds on Facebook discussing the largely unregulated supplement industry in conjunction with the appearance of Dr. Oz before the Senate. I wrote about that appearance a week ago and I thought I should revisit the entire subject of the supplement industry from a Libertarian point of view. It’s a nuanced issue for a Libertarian because as such I think government intrusion into our lives should be kept to a minimum but the government certainly has some duty when it comes to criminal activity. So where do I stand? Should supplements be regulated by the Food and Drug Administration or should the buyer beware? I’m of the opinion that the FDA should not be involved in deciding if a supplement is ready for the market or not. I do however think they have a role in making sure a particular supplement is not toxic and I absolutely think they have a right to make sure they do what they are reported to do. Barring that I think their regulatory powers are very limited. I’ll try to explain what this entails from an enforcement point of view. The FDA has the right to test new and ongoing supplements to ensure they are not toxic. I have no problem with the agency testing supplements to ensure that they will not kill people and they certainly have the right to remove toxic supplements from the market. However, there is the much murkier ground of whether a supplement is actually effective or not. I don’t think the FDA has the right to ban a supplement that has no health value. People can choose what supplements they take and anyone who ingests a supplement without doing a little background check on its medical value deserves what they get. 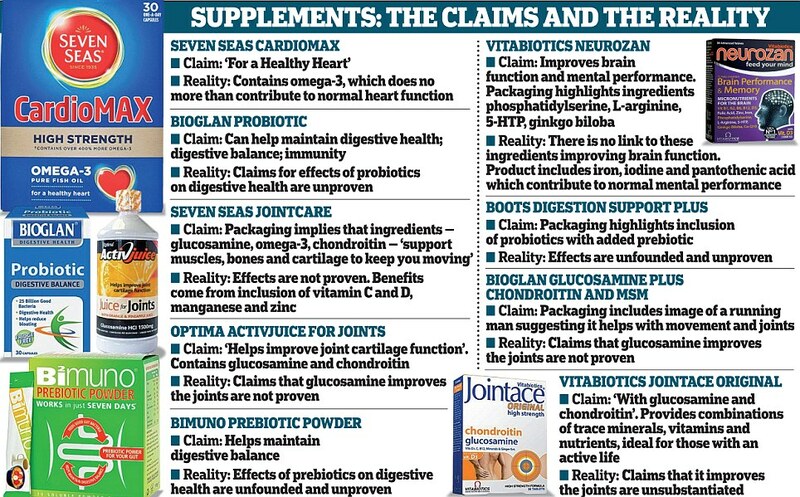 The vast majority of supplements have no health value. I think the scientific community should be running tests to determine if a supplement works. It’s not the job of the government to protect people from themselves. 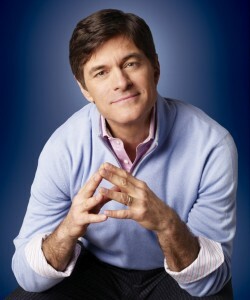 If some people want to believe the outlandish words of Dr. Oz then that’s their fault, not the government. What completely baffles me is that according to testing at least 33% of supplements have no trace of the items that they are purported to have in them. That’s just fraud. Plain and simple. It’s fraud on a vast scale because every bottle of those supplements that crosses the state line between Illinois and Missouri is a federal crime. Everyone from the owner of the company to the driver who took it across the state line is guilty of millions of counts of fraud and could be sent to prison for the rest of their lives. 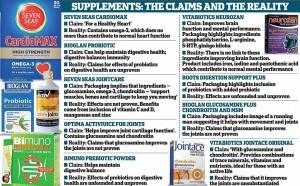 Every bottle of supplement that cannot be scientifically shown to do what the advertisement claims it can do is a criminal act. It doesn’t matter if Dr. Oz sells the supplement or not. If he claims it does something while fully aware that scientific evidence says it does not, he’s guilty of a crime. It’s illegal to sell someone a coin claiming it is gold when it is iron. It’s illegal to have a booth where other people sell iron coins as gold when you know they are iron. It’s even illegal to tell people to go to the booth to buy gold when you know it’s iron if doing so benefits you financially. That’s all fraud. You are engaged in defrauding people of their money. This is a huge point of Libertarians who are often accused of having no compassion. I think the FDA has no business telling a company not to sell a product. If a company says Green Coffee Beans might cause weight loss and people buy them, tough luck. But if a company says Green Coffee Beans will help reduce weight knowing full well there is no scientific evidence they do so, well, forget the FDA, let’s talk about the FBI. You are engaged in interstate commerce fraud. If such laws were enforced we wouldn’t need the FDA to regulate our supplement industry. Put some truck drivers in jail for transporting fraudulent material across state lines and watch how quickly the supplement industry immediately cleans out the bad apples. Why this is not happening mystifies me. I do think your state legislature or even your municipality has a right to say, hey this supplement is useless, let’s ban it. That is a right reserved for the states and the people just as they can ban alcohol. We Libertarians are compassionate. We do care about people and this country. We just think that asking the federal government to get involved in areas over which the Constitution gives them no jurisdiction makes things worse, despite the good-intentions of the laws so passed. The crazed anti-science wackos are at it again and I’m not talking about Climate Change this time. I’m talking about the opposite end of the political spectrum. When it comes to Genetically Modified Foods and Genetically Modified Organisms there is a lot of controversy but no scientific evidence they cause harm. All scientific studies to date show that such crops provide equal or better nutritional value while being resistant to disease and insects. To date no scientifically approved study has shown that eating GMFs causes any ill effects. And yet not a day goes by that I don’t see a science-ignoring liberal posting scary headlines and linking to discredited studies about the horrors and dangers of GMF. The hate towards Monsanto is palpable and the comments sections filled with outrage and indignation. I repeat: To date no scientifically approved study has shown that eating GMFs causes any ill effects. Monsanto itself is trying to make a profit, of this there is no doubt, but they have another goal. Feeding the world. Ending starvation. That’s a pretty noble goal and if they earn some money doing it, then as a Randian Objectivist and a Capitalist I have no problems. What I find rather ironic about the situation is the science denying liberals are generally the ones most up-in-arms about how Republicans deny the science of Climate Change. The science is there. The Earth’s climate is growing warmer and there is substantial evidence to suggest that increased CO2 and Methane in the atmosphere is contributing to it. The science is there, GMFs do not cause any harm. I’m not opposed to rigorous testing of GMFs but when the results of such testing prove them to be benign then I will support their distribution and use. Food has never been more abundant and cheap than it is right now. You spend a smaller percentage of your income on food than any generation in the recorded history of the world. You spend less time making sure there is food on the table than at any time history. This coupled with the fact that there are more people in the world than their have ever been is a remarkable accomplishment made in part with GMFs. It’s an inconvenient truth, just as is human-driven climate change. I know this post is going to generate some hate but I’d ask you to find a scientifically accredited study that shows GMFs are dangerous to consume. There are a lot of links out there filled with discredited studies so do your homework and then prove I’m wrong. I believe the evidence of human-driven climate change and I believe the evidence of GMF safety. I don’t think scientists are out there lying in study after study to promote some agenda. I think they are educated men and women of good character who are out there trying to make the world a better place. My hat’s off to the scientist, not the naysayers and doom-predictors. Monsanto is based here in St. Louis and I know a number of employees. They love their children and if they thought GMFs were dangerous they wouldn’t be working there. Monsanto isn’t some faceless corporation. It’s a company made up of people just like you and me. My friends work for a company that, through its product, has saved literally millions of people from starving to death. I’m proud to have the company headquartered in my hometown. So to all you haters of Monsanto and GMFs, bring it on! I just read what appears to be a well thought out article from the Huffington Post about the decline of Olive Garden restaurants and the meaning this has for our overall economy. At first read it appears completely reasonable but it’s not. Happily it gives me the opportunity to talk about an incredibly important logical fallacy called Confirmation Bias. The article itself looks into the declining market for Olive Garden and Red Lobster which are owned by Darden Restaurants. It then compares them to their high-end Capital Grill restaurants that saw growth in the most recent quarter. It then concludes that because the middle-class catering restaurants are seeing declining sales and the high-end restaurants are increasing this clearly means that the middle-class is suffering while the upper-class is thriving. I’m not going to say the argument is completely false but it’s a classic example of Confirmation Bias. Yes, Olive Garden and Red Lobster have seen dramatic losses in the last few years but at the same time Fast Casual restaurants like Chipotle, Qdoba, and Panera (or St. Louis Bread Company as we call it here in St. Louis) are growing by leaps and bounds. These are clearly not high-end restaurants. 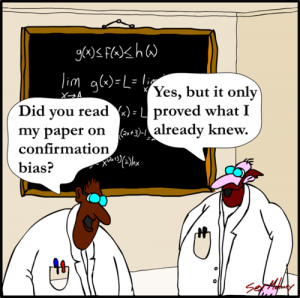 So what is Confirmation Bias? It’s the willingness to look only at facts that support your preconceived notion and either ignore or simple refuse to look at other factors that might not support your hypothesis. It’s a very easy fallacy to fall into. When you see a post on Facebook that confirms what you believe there is the instant urge to Share and Like that post without even reading the article that is behind. This almost happened to me in regards to an article about Hospice Care that a friend posted on Facebook. When I went and actually read the article I saw that it was heavily biased. We so badly want to believe that certain things are true that we are willing to accept any evidence that supports this point of view while ignoring those facts that seem to contradict our hoped for conclusion. This is an extremely dangerous fallacy. Just ask the brave men and women who served our country in Iraq ostensibly because they were going to stamp out the proliferation of Weapons of Mass Destruction. This fallacy is pervasive in today’s political culture where ideology trump facts. When we make important political decisions based on what we want to be true then we are doomed to making horrific mistakes. What I’m saying is that the reason Olive Garden and Red Lobster are struggling might be because of the changes in economics for the Middle Class but there are likely other reasons as well. Certainly other Middle Class aimed restaurants are doing quite well. I’m sure there are a number of fine-dining establishments that aren’t doing very well. Can we assume the rich have less money? The next time you hear someone make a claim that seems to support your position pause for a moment. Examine the facts from a Critical Thinking perspective. Do your homework. Think twice before Sharing that Facebook post. The bottom line is that when we make better decisions we experience more favorable outcomes. Better decisions are driven by complete information. When we fall into the trap of fallacies we make worse decisions. When the people of a nation make bad decision after bad decision there are bound to be serious repercussions. I just read yet another article about how China is churning out huge numbers of science graduates. This article went into some of the reasons for this changing face of education. In recent years China, India, Germany, and even Russia have taken the idea of producing a generation of technically savvy young scientists extremely seriously while the United States has not. This has resulted in the explosion of engineers and other scientists in Asia and Europe while the numbers in the United States have remained relatively stagnant. I wrote about a fantastic space exploration mission accomplished by Indian scientists recently and this is only the beginning. Many of my friends and people who comment on the articles are under the impression that young graduates in China and India are incapable of independent scientific thoughts. That they just steal the innovative technology from the United States and reproduce it. This was certainly true at one point but we’ve left those days far behind. This transition of scientific knowledge is coming at the dawn of what I call the Automation Age. We are quickly leaving behind the sorts of jobs that an unskilled laborer did. These jobs were the backbone of the Industrial Revolution. If you weren’t all that smart it wasn’t a huge impediment. 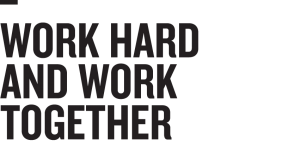 If you had a willingness to work hard and do a less than glamorous job you could do quite well all the way until right about now. The problem we see today is that we face an increasingly technical world. The workplace is filled with computers and just wanting to work hard, while a wonderful quality, is often not enough. If you don’t have the education and technical skills necessary to do your job, you won’t have a job. I’m not just talking about engineers and scientists but a mechanic, an electrician, an HVAC specialist, they must all be able to understand and work with computers. We’re still in the transition phase to the Automation Age but things are moving rapidly. Robots are becoming increasingly sophisticated and will only get more so. I can speak from personal experience as a technical trainer. I used to teach every day. Now I teach maybe 25% of the time and do web development and other work most days. I’m learning a lot from the young graduates of the local technical schools my company has hired and I hope that I make myself useful enough to keep around. I certainly can’t keep up with them but I’m learning more all the time. What I see happening is that science and innovation, as important as they were in driving wealth and creating a higher standard of living in the past, are going to become even more important in this era. The countries with the brightest minds will not only create wealth but business leaders will, by necessity, move their increasingly sophisticated factories to nations where people with the proper skills reside. I’m not all gloom and doom. The fact that China, India, Germany, Russia and others are producing scores of technically savvy college graduates is not a bad thing in itself. It’s good for the world to have more and more intelligent and driven people in it. I’m just concerned that the United States is losing the battle. I’m not the only one who sees this, industrialists understand and new methods of education are being tried all over the United States. We are still producing many of the top minds in the world and our education system is churning out fine scientists, just at a lesser rate than our economic foes. The one thing that really struck me in one of the charts in the article I read was that doctors and lawyers earn far more than the scientists in the United States while in China they earn less. In the United States engineers are still well compensated but much less so than in China. Engineers are in huge demand in China but apparently not as much in the United States. What does this tell you? This higher rate of pay naturally encourages young students to pursue degrees in engineering. This is Randian capitalism at its finest. What society needs it pays for and thus encourages more people to pursue the money. So why are we paying doctors and lawyers so much and engineers so relatively little? That’s the question. As time passes and we need more engineers and technically savvy people; so too will salaries rise to hire such qualified people. Nothing is forever and the gains China is making now may evaporate fifty years from now or a hundred. I don’t know. I do know that the trend is cause for concern. If future breakthroughs come from China, India, and Europe then wealth will follow. We’ve been the richest country in the world since the conclusion of World War II, some seventy years. When we’re not anymore I don’t think the nation will crumble. Maybe we’ll be better off as the second biggest economy in the world, as the third. It’s impossible to say. What I think seems inevitable is that we face a new age with new problems. I’m confident we’ll survive and thrive but change is coming and it’s best to recognize it, plan for it, and understand the ramifications before it happens. Putting your head in the sand and pretending it’s not happening is a bad idea. I see too much of that from our politicians and from ordinary people in comment sections and personal conversations. Just because you want the United States to stay scientifically ahead of our foes doesn’t mean we will. There’s apparently been a big story roiling the Christian Rock world for the last year or so although until I spotted a headline I was completely unaware of the turmoil. 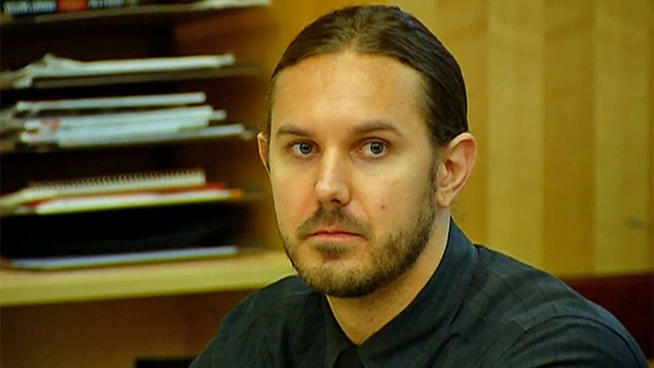 It seems the death-metal band As I Lay Dying’s lead singer, Tim Lambesis, was arrested for trying to hire someone to kill his estranged wife. Happily the person he tried to hire was an undercover police officer. Good job San Diego Sheriff’s department! 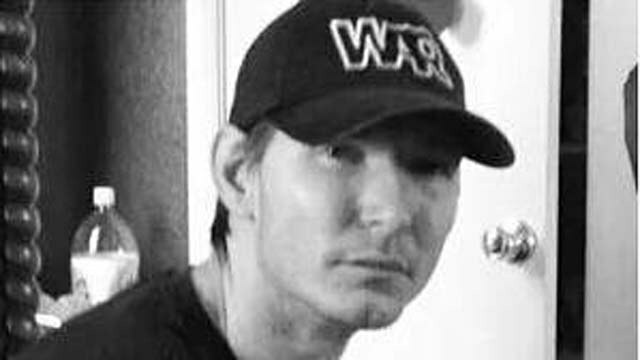 The arrest and accusation apparently sent deep shock waves through the Christian Rock community. Now Lambesis is saying that he actually was no longer a Christian but had forsaken his religion for Atheism. So why am I talking about this? Because I’m an Atheist and in reading the comments about the story I found what I think is a common theme among many Atheists and Christians. The Christians were all blaming his Atheism for his “turn” in behavior while the Atheists were all blaming his Christian underpinnings. I see this quite a bit in the Atheist community and the religious community. Both sides blaming a person’s religion or lack thereof for that person’s lack of ethics and criminal behavior. An Atheist will argue that religious fervor has been responsible for an incredible amount of violence throughout the history of the world. A religious person will argue that an Atheist has no moral compass at all because there is not the carrot of heaven or the stick of hell to keep them ethical. I have a different take. Some people are without morals or ethics. Some people will hire someone to kill their estranged wife because they lack the ability to control their emotions. It has nothing to do with their religious beliefs. There are wonderful religious people in the world who are kind, caring, considerate, and would never hire anyone to kill their spouse no matter the provocation. Many Atheists fit that profile exactly as well. We are quick to lump people into classifications these days. Christian? You must hate homosexuals. Atheist? You must hate Christians. I drive a Prius. On at least a dozen occasions since I’ve been driving my 2006 Prius I’ve parked near a large vehicle as the owner of said vehicle was emerging or going into it. They’ve rather sheepishly asked me if I hate them. I don’t. I think people should drive the car they want to drive but that’s not the point I’m trying to make. It’s this general lumping of people together that gets us into a lot of trouble in life. The car a person drives, the religion or non-religion a person practices, the suit he wears, the beard on his face, the tattoos on his body; where he lives, who he votes for; these things mean nothing. What is important are a person’s actions. Is he kind to his wife? Does she help co-workers when they ask her? Does she help her friends when they need something? Does he call his mother when she’s not feeling well? (Get better soon, mom). Lambesis, murderous scum. Why? Because he tried to hire someone to kill his wife. That’s all I need to know. 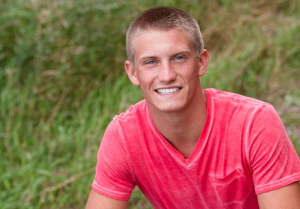 I’ve written in the past about social media and the dangers it presents because our words are forever preserved and a case involving Twitter and a young student suspended from school is making the news in Minnesota. It’s an interesting case from a legal perspective but my take is that it never should have come to what has happened. Read on! Other parents apparently saw this tweet as confirmation of the idea that he was engaged in an illegal sexual relationship with the teacher in question and reported it to the authorities. An investigation ensued. It was determined that there was no such relationship and Reid says his reply was intended to be sarcastic. The problem is that the teacher in question had her reputation unfairly besmirched and the school had to institute an investigation which took time and resources. Thus they decided to suspend Sagehorn. First for five days and then for ten days. Eventually they even moved towards an expulsion which forced him to enroll in a different school to finish out the year. Now he has filed a lawsuit claiming the school violated his First Amendment right to free speech. The legality of the suspension is a fairly interesting question in its own right because schools are generally given pretty wide latitude in dealing with speech that causes a disruption in the school. The tweet clearly caused a disruption and just as clearly was not taken as sarcasm even if it was intended as such. I’m of the opinion the school does have the right to suspend and even expel Sagehorn. I’m also of the opinion that doing so was absolute nonsense. Sagehorn’s tweet was potentially damaging and ill-advised to be certain. The school pretty much had to institute an investigation and I think Sagehorn owes the district and the teacher in particular a big apology. However, that’s where I think things should have stopped. It would have been a good “teachable moment” as we like to say these days. In my opinion punishment should have been a public apology to the assembled students, a private apology to the teacher in question, and a one day suspension. End of story. Move on with the business of educating young Sagehorn and the rest of the students. Such an approach was not taken and now we are where we are. Sigh. What do you think? Was the long-term suspension merited? Is this a First Amendment violation? I was browsing through all the news that’s fit to print when I came across a story at Yahoo Odd News that caught my interest. A fellow by the name of Randy Kratofil was driving through the Pennsylvania town of Jefferson Hills when he came to a three-way stop sign. He stopped and then proceeded forward. A pair of police officers, clearly staking out the intersection, then pulled him over and wrote him a $127.50 ticket. They told him that residents were complaining of people running the stop sign. Kratofil has a dash-cam in his car. He took the video to a local news station which then showed it to the Jefferson Hills police chief and the ticket was rescinded although the chief of police stands by the officer that wrote the ticket. Which in itself is ridiculous. If you stand by the ticket then you wouldn’t rescind it. That’s another story. A factor in the case which I did not see in the reported story is the nature of the intersection where the non-infraction took place. If you watch the video it is very apparent that the intersection is extremely dangerous. It’s a three way intersection which sort of bends around and away to the left; after the original stop it’s very difficult to see oncoming traffic from that direction. The problem appears to me to be that the white line is not painted in the right spot. From the video I couldn’t even see the white line. For everyone out there not familiar with traffic laws it’s important to note that you are required to stop at the white line, not the stop sign. This rule is designed for intersections exactly like the one in the video. The nature of the road made it impossible to put the stop sign where it needed to be and there should have been a white line painted another ten feet or so forward. The fact that the white line is either absent or badly painted leads me to the conclusion that someone is either incompetent or the police use the intersection as a revenue generator. I’d like to know how many tickets are written at that intersection. I’d also like to know how many accidents happen at that intersection. If the white line is intentionally absent in order to generate revenue for the police department there is serious criminal misconduct going on. It is creating a dangerous situation in the pursuit of money. I do not know if any of that is actually true. It’s possible the white line is there but just not visible because of the lighting condition. It’s possible that the white line is missing for other reasons but the events here make me extremely suspicious of the Jefferson Hills police department. If someone was injured in an accident at that intersection there should be criminal liability. 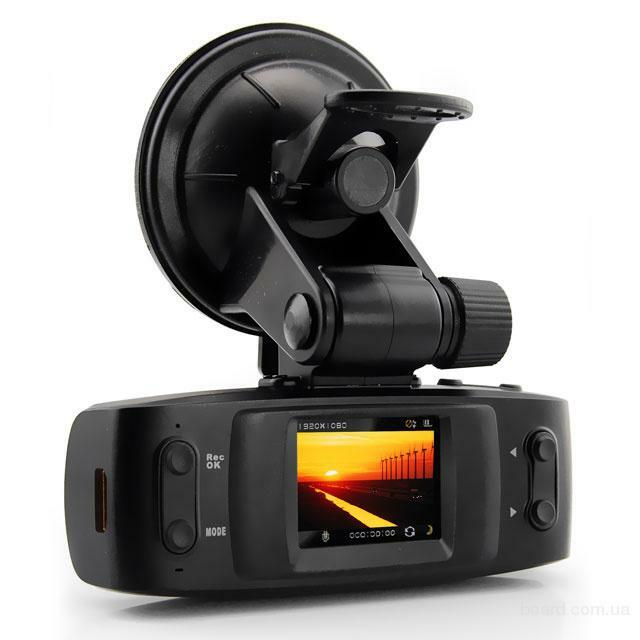 The moral of the story is that it’s not a bad idea to purchase a good dash-cam for your car. They have a nice selection at Amazon but you can pick them up just about anywhere you do your electronic shopping. As an added bonus for me, I can upload video to YouTube and show off how all those other drivers are out there trying to kill me. I drive about seven minutes to work everyday and about the same back home. Now that I have a food service bringing me food I don’t even stop at the grocery store. In that fourteen minutes of driving I have least one person try to kill me every day. People think I’m paranoid but I’m not! I tell you they’re out to get me! Now to get that dash-cam and prove it! I spotted this doozy from Business Insider and it’s only Monday. We’re on the Verge of the Greatest Transfer of Wealth in the History of the World screams the headline. With wealth inequality making headlines all over the news and being a talking point of the Democratic party one cannot be blamed for making the assumption that the article will be about that subject. Wrong. The article is about the fact that the Baby Boomer generation is reaching the end of their lifespan and their wealth is passing on to their heirs. This large amount of money will transfer largely from parent to child. That’s the entire article. It’s such an obvious headline troll I couldn’t leave it out of my Misleading Headline of the week series even though it’s only Monday. Even at it most raw form I’m not sure the headline is even true. While there is more currency in circulation now than at any time in the history of the United States I’m not sure that translates directly to wealth. I suppose it is probably true as there are more people and that means more people will be dying and passing their money on to their heirs. Still, it’s an awfully misleading headline and a rather dull story at that. Don’t bother reading it. Just head on over to my Books Page and transfer your wealth to me $2.99 at a time! I just read an incredibly interesting legal story from the Associated Press about a case that happened in Atlantic City a little over two years ago. 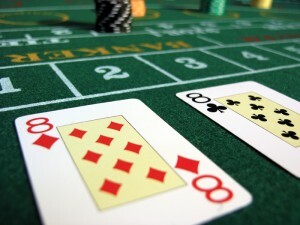 A group of gamblers was playing the game of Baccarat at a table in Atlantic City when they noticed that the cards were coming out of the deck in original order. The decks themselves came from the manufacturer to the casino with the stipulation that they be shuffled beforehand. In this case the freshly opened cards were not so shuffled and emerging from the deck sequentially. The gamblers immediately noticed this and began making maximum bets winning over $1.5 million in short order. The casino figured out what was happening and detained the gamblers and that’s when legal proceedings began. The gamblers filed a case against the casino for what they consider an illegal detention and that case is still being reviewed. Meanwhile the casino argued that they shouldn’t have to pay the money to the gamblers who still have the chips from the event but not the actual money. Originally a judge ruled against the casino and a settlement was attempted but the gamblers refused to drop the illegal detention case so the other case went forward as well. Now the Superior Court of the region has agreed with the casino. Judge James Isman ruled that because the cards had not been shuffled, the game of mini-baccarat was illegal under state casino rules. When I first read the case I was definitely on the side of the gamblers but I started to think about why the judge would thus rule and I’m no longer certain of my original opinion. I haven’t read the details of the case and I’m certainly not up on New Jersey gaming laws so my opinion here is largely speculation but that won’t stop me! I think the judge ruled the way he did because the situation as described was no longer gambling. Let’s reverse the sides and say the casino had the deck setup in a way that the dealer knew about and used this to win hand after hand. This would clearly be a violation of the law even if the casino didn’t intentionally stack the deck in this manner. In order for it to be gambling I think there has to be an uncertain outcome. An example would be the events in the movie The Sting where the antagonist hoped to cheat the house by laying down bets on races that had already finished. Would this case not fall under the same laws? Is it even possible that the gamblers themselves are guilty of a crime? The judge ordered that the casino doesn’t have to pay out the “winnings” although no charges have been filed against the gamblers. Then there is the ethical aspect of the entire story. If you were presented with a way to win at a gambling game in which you knew the outcome; would you do so? For example, you know that a certain ticket will be pulled from a jar during a raffle and you are offered the ability to go through the ticket roll and purchase what will be the winning number. Would you do so? Is not doing so stealing in every sense of the word? Judging by the comments below the original story I think most people are sympathetic with the gamblers and angry with the judge and the casino with the ruling. As I said, it’s an interesting case. Any lawyers? Any lawyers from New Jersey familiar with gaming laws? I’d love to hear from people. I’ve long known that most diets are merely money-making scams designed to fleece desperate people from their money and I don’t really follow the industry with much interest. Today I spotted a blog post about a fellow named Dr. Mehmet Oz who has been invited by Missouri Senator Claire McCaskill to testify to the Senate about weight-loss scams. I’m a bit jaded when it comes to irony, hypocrisy, and outright lying from our elected officials but when a senator from my home state invites possibly the biggest purveyor of fake diet scams to the rather less than hallowed halls of Congress to testify about the dangers of weight-loss scams, well, how can I not write a post about it? The original post from Orac at Science Blogs does a great job of providing all the links you need to determine for yourself the nature of Dr. Oz and his various business operations. Oz is a recipient of the Randi Pigasus Award for Refusing to Face Reality and his various forms of weight-loss and medical advice are cited as doing more harm than good. All that is well and good. It’s clear to me that Oz is a charlatan preying on people’s desire to lose weight quickly and easily so as to fleece them of money. As far as I’m concerned he’s allowed to do that as long as his actions don’t cross over into criminality. Apparently he has not yet crossed that line so he continues to sell goods on his television show without interference. We live in a free country and if people are gullible enough to believe his obvious fabrications and exaggerations and want to hand him their money then that’s their right. Those who see through his lies don’t give him money. That’s the way freedom works. You’re free to do what you wish even if it’s foolish. What really bothers me is this invitation to appear before the Senate. It’s not even that he is going to be railing against that which he is himself guilty of that bothers me. It’s not that I think the Senate still has the gravitas of the old days and that anyone who testifies there must be of good character. Those days are long gone. Still, why should he be a given legitimacy by our government that he clearly does not deserve? Are my tax-dollars going to house him, feed him, and transport him to these sessions? Why does the United States government need to be involved at all? There are laws on the books about false advertising both from the Federal government and from various states. If Oz is breaking the law, arrest him. If he is skirting the law then it is up to people like Orac and the Randi Foundation to spread the word. It is up to people who want to lose weight to do due-diligence when looking for solutions. The government can’t protect us from ourselves. If you’re foolish enough to purchase Green Coffee Bean extract in order to lose weight you deserve what you get. If Oz lied about the studies which showed its value in weight-loss he should be charged with a crime. Our politicians should focus on the real problems that this nation faces and not on inviting likely snake-oil sales representatives to speak to them about weight-loss scams. The entire visit is a classic example of our politicians doing things that appear to be good in order to gain political capital. Look, we’re here to help you, they say. Vote for me. I’ve got news for Congress. They are not here to help me. They are here to run the country properly. I’ve got news for all my readers out there trying to lose weight. It’s hard. You have to cut your caloric intake not just today, not just this month, but long-term, day after day after day. You have to exercise regularly. Eat more fruits and vegetables. Go to the gym at least four days a week. I’m not saying it’s easy, I’m saying it’s hard. You can listen to me or you can listen to Oz. Your choice. There is a science story making so many headlines it’s impossible to pick just one so I’ve included a Bing Search showing the plethora of them. It’s likely you’ve seen the headlines as well. Basically the story is that there is a huge ocean inside the earth’s core which holds about three times the water in all the world’s oceans. There are elements of truth to the story but the premise itself is very misleading. If people just peruse the headlines or read the stories without close attention to detail it is clear the impressions is that this “ocean” is a massive body of water deep below the surface of the earth. Nothing could be further from the truth. This discovery isn’t even really a discovery, it’s just more of a conformation that the mineral Ringwoodite exists as expected. 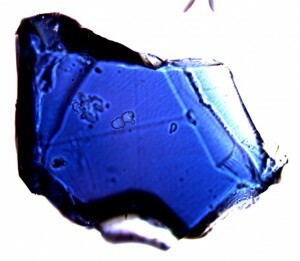 Ringwoodite is named after Australian scientists Ted Ringwood and was first discovered back in 1969. Even then scientists suspected that this layer in the earth’s mantle was ubiquitous. About 2% of Ringwoodite’s mass is water. The material is so common in the mantle that this 2% adds up to as much as three times the water volume on the surface of the earth. That’s what the headlines are referencing. It doesn’t mean there is a massive ocean beneath the surface of the earth. It means there is a huge amount of Ringwoodite circling the globe and if the 2% number holds up that indicates a vast amount of water. The big scientific “discovery” that the headlines references is a study of earthquake waves traveling through the earth’s mantle that seem to prove the presence of Ringwoodite as was expected. It’s still quite an interesting story and I learned a great deal reading about it but the headlines are very misleading, at least I think so. 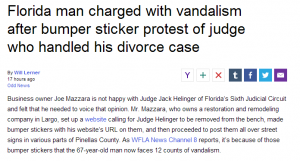 Florida man charged with vandalism after bumper sticker protest of judge who handled his divorce case reads the blaring headline from Yahoo Odd News. It certainly makes me want to see what crazy nonsense the police are up to today. 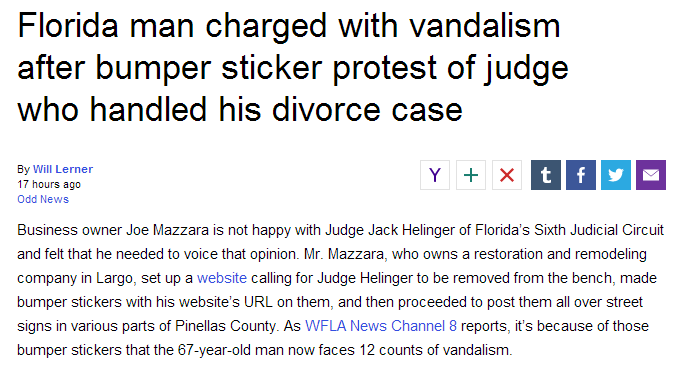 The implication is that the authorities in Pinellas County, FL are vindictively going after a man because he put a bumper sticker on his car lambasting the local judge. That’s not even close to the case. Joe Mazzara is angry at Judge Jack Helinger over events during the former’s divorce proceeding. He did make a bumper sticker that calls for firing the judge. It’s where he put the bumper stickers that the headline convenietly omits. He put them all over public street signs. Hundreds of them. This is clearly not only a violation of the law in that he is defacing public signage but it’s also ridiculously dangerous depending on what part of the sign he chose to cover up. It’s even possible to argue that that accidents could happen because people are reading the signage when they should be focusing on driving. I’m not only not sympathetic to Mazzara but I think he needs to spend a little time in the county lockup. Maybe five days or something like that. He has the nerve to claim it is a First Amendment issue! If this is his general entitled attitude to life I’m not surprised the judge ruled against him. Of course the real problem is that Yahoo is trying to convince people to click the story because it is another example of police and government abuse of power. I think there are plenty of times when people in authority do misuse their power but when they are doing their job properly we shouldn’t be trying to paint them with a damning brush. Shame on you Yahoo. You win the Misleading Headline of the Week Award. I read a lot of news stories trying to find things to blog about and I was perusing an article about how the United States government spent $3 million on seven rigid patrol boats that don’t look much different than the raft I floated down the river in while on vacation in Colorado. That’s $375,000 per boat. They were ordered to help patrol the rivers of Afghanistan. The boats are sitting unwanted and unused in a warehouse. Near the end of the article they mention $10 billion spent on anti-narcotics and agriculture programs in Afghanistan since 2002. The idea being to curtail the growing of poppies which eventually are used to make heroin. 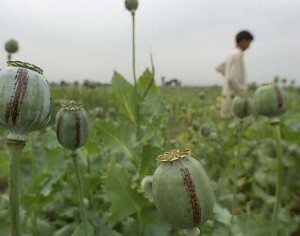 Since 2002 the production of poppies in Afghanistan has tripled. $10 billion of your tax dollars spent on the War on Drugs in addition to the annual budget of the DEA which is $3 billion. Furious about this waste, I started to do some research into where this $10 billion was spent. The first story I turned up was this one. Corruption in Afghanistan is high so we’ve created a court that is above corruption, well, sort of. Basically everyone who comes before it gets convicted. Of course only low level farmers who grow relatively small amounts come before this court. The big players never see the inside of the place. That sure endears us to the people of Afghanistan. It’s all nonsense of course. They take our money, throw lots of little fish in jail, and smile all the way to the bank. The second article I found was a long and detailed one from 2009 report written by the Brookings Institute. It basically calls all efforts prior to a change of policy by the Obama administration in 2009 a complete and utter failure in which far more damage was than any good. The report focuses on how to keep the money from drug sales away from those who plan and execute terrorist attacks. It details many of the difficulties involved in attempting to do just that and doesn’t paint a rosy picture. It tries to offer a real solution. Of course our money isn’t being spent that way and of course no one seems to care. No one is much interested in a real solution. We want lots of people thrown in prison. We want huge hauls of heroin that we can show-off to the public and claim our misguided plans are working. This is the country we live in today. People want a soundbite, a scapegoat, and a huge plate of french fries. I don’t have a real point today. I’m just super-angry about $10 billion that was used not to alleviate a problem but actually exacerbate it. To make people all over Afghanistan hate me and want to kill me. Then there’s the $3 million on eight stupid little boats that are doing nothing. When will this madness stop? If you blame Democrats, if you blame Obama, if you blame Republicans, if you blame Jessica Simpson and Kim Kardashian, well, I’ve got a suggestion for you, blame yourself. You vote in elections, you click on stories, you drive the media, and you drive the country. Do I see people getting angry enough to vote in Independents who don’t care about agendas and simply want to do what’s right? In a word, no. But don’t worry, I’m not giving up! I’ll keep posting my blogs, I’ll keep writing my books, and I’ll keep voting for Independents. I wrote a post a couple of weeks ago about how Congress seemed united in an effort to solve the problem plagued Veterans Administration. Today comes the news that the Senate has passed their version of a bill that attempts to address some of the issues the VA has encountered. It will likely be merged with the bill passed by the House of Representatives and put into effect immediately. I’m not going to discuss this particular bill. It might do some good but then again it might be a simple and useless band-aid to a much larger problem. Both are possibilities but the reality is that Congress immediately threw aside their partisan bickering and, with astonishing speed, is in the process of passing legislation designed to fix the problem. They stopped going on television and tossing out lies, distortions, and half-truths. When the news of the problems at the VA first came out there was the usual attempt to blame anyone and everyone with whatever lies seemed likely to sound true. Republicans blamed Democrats and President Obama. Democrats blamed Republicans and the House of Representatives. Political pollsters immediately began to poll their constituency to see if this was the sort of issue that could win elections. If people would fall into the usual trap of believing the lies. It quickly became apparent that everyone understood there was plenty of blame to go around, that lying about it wouldn’t be good political fodder, and that people just wanted a solution. They wanted our veterans to get medical care as quickly and efficiently as possible. This polling resulted in what we see today. Legislation passed without political bickering, lies, and rancor. Legislation quickly moving through the House and Senate and towards the President’s desk. Legislation that compromises on the hard-coded principals of both Republicans and Democrats in Congress. Can we as citizens of the United State take a lesson from this? Can we see that playing the blame game only hurts us? That buying into the lie and distortion filled rants of our elected officials is not good for this country? We are the deciders. We vote. When we allow lies and distortions to drive our votes, when we blame everyone but ourselves for the ills of our nation, we accomplish nothing. 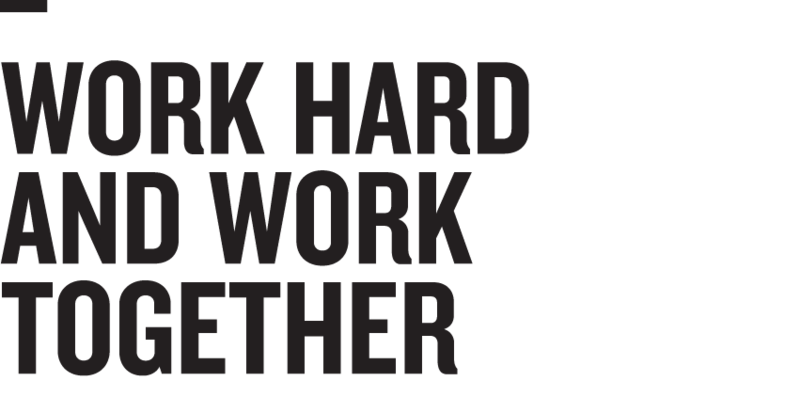 When we work together towards a common goal nothing is beyond us. A nation that is afraid to let its people judge the truth and falsehood in an open market is a nation that is afraid of its people. John F. Kennedy said that and I think it’s far truer today than it was then. Our politicians fear that the people of this nation, with the power of the vote, might actually insist upon real solutions. So they fill our heads with well choreographed lies and hope we forget about solving problems and focus on blaming each other. Contrast that to the legislation we see today. Do you see what happens when we demand real solutions? What would happen to this nation if we put this attitude towards all of our problems? What do you think? A fellow by the name of Joe Wilcox was shot and killed Sunday afternoon when he attempted to stop a maniac at Walmart. He wasn’t afraid and it cost him his life. Fear is an overwhelming force in our lives these days but somehow Mr. Wilcox managed to overcome our politicians telling us to be afraid and the talking heads on the news whose primary message is fear. When the politician of your chosen political party tells you that those on the other side of the political aisle are destroying your country they are promulgating fear. When the talking heads on the news stations warn you of the evil that will be done if someone from the other side is elected they are promulgating fear. Fear and more fear. That’s all I see on politics. That’s all I hear from friends and colleagues. Those evil Republican/Democrats are trying to turn American into a Tyrannical government ruled by the rich/lazy. I see fear oozing out of almost every Facebook post I read. I hear fear in conversation next to me when I’m riding the stationary at the gym. It’s everywhere. It’s prevalent. It’s what the powers that be desire. It’s what they scheme to bring about, a mass of frightened people who outnumber the brave. When that happens were all in serious trouble. A while ago I finished my fourth novel, The Sword of Water. That’s a novel all about fear. It’s about how evil uses fear to try and have us give up our freedom, to convince us to hate our neighbors, and to drive us into giving them more power. It’s a novel in which a young girl named Silenia has two guiding influences. One who promulgates fear and the other who is the embodiment of courage. When I was reading about the life of Mr. Wilcox I thought of Silenia and her fear and courage. The decision she has to make in my novel is not that different than the one Mr. Wilcox made. You’ll have to buy the novel to find out what happens to Silenia but we know what happened to Mr. Wilcox. He chose to ignore fear and stepped up to battle violence and insane rage. While Mr. Wilcox may have died his spirit lives on. We must stop being afraid. We must stop hating each other. I’ve been all over this great country. I’ve made friends with small-town conservatives in Idaho and rural Missouri. I’ve made friends with big-city liberals in San Francisco and St. Louis. They have a lot in common. They want to do their jobs, make a little money, raise their children, and enjoy their lives. You know who wasn’t brave? You know who lived in fear? The miserable bastards that killed Mr. Wilcox and two police officers. They let fear rule their lives. They were so afraid they decided they had to start killing people in order to save themselves. That’s fear. That’s abject, total fear. It’s not brave to walk into a restaurant and shoot people sitting at a table. Those who defend such deeds are frightened little children. Don’t let fear rule your life and your decisions. Be brave. I’ve written a number of times about how I think the NCAA is an organization wherein everyone except the athletes make money. One of the points I’ve made is that the NCAA takes money from video game makers like Electronic Arts who use the likeness and mannerisms of players in their games. Until today the NCAA and the game manufacturers have never paid the players a penny for doing this. Until today. 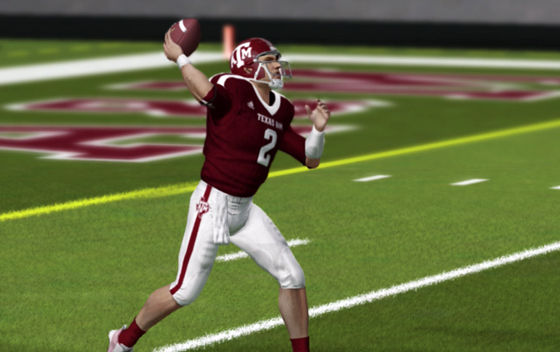 If you purchase EA NCAA Football 2013 and load up, say the Texas A&M v. Missouri game you’ll see #2 leading the Aggies onto the field. The avatar bears a striking resemblance to Johnny Manziel. In the game #2 throws with his right hand and is a bit short for a quarterback. He runs a lot. He plays just like Johnny Manziel. The only real difference is the back of the jersey where you see just the #2, not the name Manziel. The reason you didn’t see that name is because the video game companies figured if they left it off they wouldn’t owe Manziel, or any of the other players, money for using their likeness in the games. Those self-same video game companies do have pay to someone though, that someone is the NCAA. In fancy legalese designed to keep them from having to give money to the actual players they pay for the right to use the NCAA logo. Tricky, those lawyers. The NCAA has said they will terminate this agreement with the game manufactures once the current contract expires later this year. Those who disagree with me will argue that the players get a scholarship and signed a contract in which they agreed not to collect money for the use of their likeness. If that is the case then why did EA and the NCAA just agree to pay $60 million to the people whose likeness was used from 2005 or 2003 to the present time. They fought and fought until the moment the case was headed to trial and then paid up. There is another huge case on the dockets now filed by former UCLA basketball star Ed O’Bannion and there has been no settlement to date. That case argues the players have the right to sell their likeness directly to the video game makers. It’s a big one to say the least and I’ll be keeping my eye on it. But it’s not the point of today’s column. Those who rail against today’s settlement argue that it will “ruin” college football. It will drive the game out of existence. I can’t categorically say this is wrong although I’m certain that it is incorrect. There is money to be made. Lots of money. If the NCAA, the media, the stadium builders, the broadcasters, the coaches, and everyone else has to give up a bit of that to pay the players they’ll do it. They might not like it, but they’ll do it. And the games will go on. Either the doomsayers or right or I’m right. Time will tell. As far as today’s settlement goes I have only this to say. About time. Belmont Stakes – Whining or Complaining? I’ve been a hose racing fan since that magical summer of 1973 when Secretariat raced to the Triple Crown. I was nine years old and my mother took us on a vacation to a wonderful resort in French Lick, Indiana. We happened to be there when Secretariat won the Belmont Stakes in what many people consider the greatest single athletic performance ever. Five years later I watched Affirmed battle Alydar in what might have been the greatest head-to-head competition in the history of horse racing. Why do I mention this? Yesterday afternoon a horse named California Chrome raced in the Belmont Stakes hoping to duplicate what Secretariat and Affirmed accomplished by winning the Triple Crown. No horse has won the Kentucky Derby, Preakness Stakes, and Belmont since Affirmed did it in 1978. California Chrome came up short finishing in fourth place. After the race the owner made some comments that are being fairly roundly criticized and it got me to thinking about the difference between complaining and whining. In this case the owner of California Chrome was upset the horses that defeated his horse did not race in either the Kentucky Derby or Preakness Stakes and thus were rested and fresh for the grueling Belmont which is the longest of the three races. That such tactics make it all but impossible for a horse to win the Triple Crown and this accounts for the fact that it’s been thirty-six years since the feat has been accomplished. I think that Steve Coburn has a legitimate point but his tone was very bitter and he used words like “cheaters” to describe his competition. He has a legitimate complaint but he clearly came across as a whiner and few people have been, so far, sympathetic to his cause. I don’t want to get into an in-depth analysis of whether Coburn was right although a quick perusal of Wikipedia indicates that some of the horses that Secretariat, Seattle Slew, and Affirmed faced in the Belmont Stakes had not run in the earlier races. 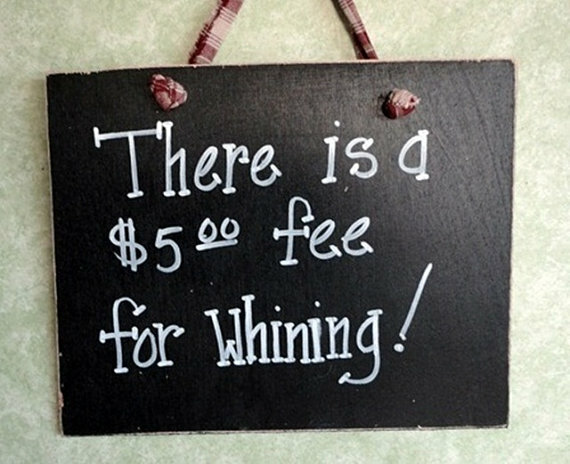 My real question is when does legitimate complaining become whining? It’s a question that speaks fairly clearly to my Libertarianism. As a Libertarian I strongly believe in both personal responsibility and accomplishment. I don’t like it when people complain about the state of their lives when they could improve things simply by taking a more proactive look at how they behave. But there are certainly times when a person is blocked from doing something. When they are cheated. When is it right to complain and when it is better to simply put your head down and fix the problem yourself? Let’s say a two children are playing and one takes a toy from the other. Should the first child take the toy back or complain to adults about the situation? Let’s imagine someone at works gets ahead of you through subterfuge or devious behavior. Should you complain to the bosses or should you take measures to make sure you get ahead in the future? I think for the most part people respect someone who handles the situation themselves. Someone who chalks up a defeat as a life-lesson and goes about their business with their chin out and their eyes firm. We don’t like a whiner. We like someone who attacks a problem and defeats it. Let’s take it a step further. The children get into a physical confrontation over the toy. Your rival at work refuses to give you information needed to accomplish a task despite repeated requests. When does complaining become legitimate? My feeling is that complaining is largely only legitimate after you’ve give a strong, good-faith effort to solve the problem yourself. Even then it’s dangerous territory. No one likes a tattle-tale. I think it’s a very difficult and tricky aspect of being an adult. It’s a complex issue that I can’t solve in a single blog or probably ever. My advice is that when you face adversity take it head on yourself. Don’t accept defeat and say oh well. Don’t go crying to the boss. Deal with it. If that fails then you can consider taking it up the chain of command. I think we’ve all encountered situations like this and the first thing your foe is going to to do is make you out to be a complaining whiner. If you can honestly show that you attempted to resolve the problem without interference from a superior you will be better off when the confrontation finally happens. Heck, a lot of times attacking the problem personally results in a solution without involving higher-ups. Does anyone have any stories to share? Do you agree with me? Disagree? Let me know! 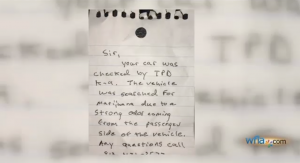 There’s an amazing case making the news in Tampa, Florida where the police searched a parked vehicle because they smelled the odor of marijuana coming from it. At least they so claimed. The truck in question belongs to Matthew Heller and is painted with the logo of his business. In their search of his car they tore out panels and did significant damage to his electrical system. They left a hand-written note on the truck telling him to call the police department if he had any questions. Are you kidding me? This was the guy’s business vehicle. There is no way the officers who performed the search could not have identified Heller and tried to contact him but that’s not even the most egregious violation. The Tampa police claim the search was perfectly legal and have so far refused to pay for the damage they caused although it seems obvious to me that they will have to do so eventually. I’ve written on a number of occasions about the War on Drugs and the seizures laws and I have no doubt that if they had found even trace amounts of drugs they would have seized his car and everything in it. 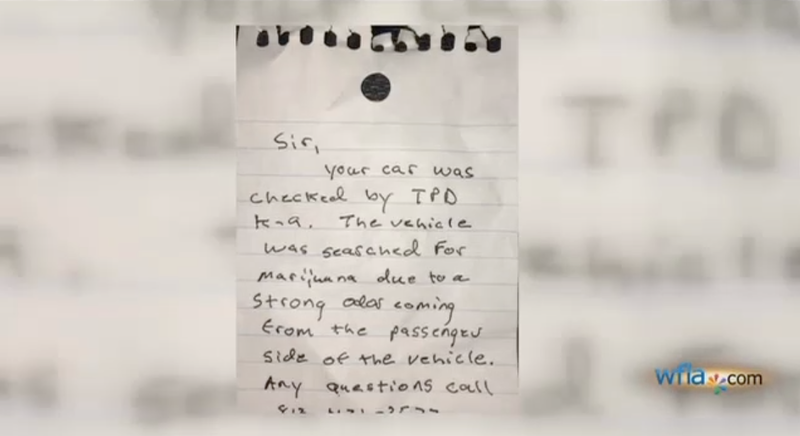 The fact that an officer can simply claim to have smelled marijuana in a car that was parked in a parking lot at a concert, break in, and search it should give everyone pause for alarm. This is the police state that the Founding Fathers lived under when we were a colony of England. This is why we have the Fourth Amendment. This Amendment protects me from a vindictive police force bent on destroying me. The War on Drugs has provided such a bounty of money to law enforcement agencies over this entire country that local municipalities no longer use enough tax dollars to support the agency. This means the police are becoming more and more dependent on seizures to fund their operations. They become creative in their methods of getting revenue. I’m of the strong suspicion that the police simply wanted to steal Heller’s truck so they could sell it at an impound auction. That there was likely no smell of marijuana at all. That they troll parking lots of concerts looking for vehicles to steal … I mean impound. This is madness. This is not good for citizens and it’s horrible for the police. When officers become not the protectors or our people but their enemy this country is in serious danger. The liberties we enjoy are in jeopardy. I’m sure the vast majority of police officers would much rather spend their time investigating and preventing real crime rather than trolling for funds. This sort of thing must make good officers sick to their stomach. I still can’t get ever the hand-written note I’ve used as the image on this post. Are you kidding me? What is happening to our nation? Are we so frightened that we’re willing to trade all our liberties for the illusion of safety? As anyone who reads my blog regularly knows I’m a huge sports fan and being from St. Louis that means I follow the Cardinals, Rams, and Blues pretty closely. It is a story from the St. Louis Rams that caught my attention today. Most people are aware that a number of professional athletes use Twitter to Tweet their thoughts. This can be a revealing insight into their lives although I don’t follow any athletes nor do I read many Tweets. Chris Long of the Rams was being interviewed after a practice session during what are called OTA (Organized Team Activities). In the interview he was asked what it was like to be back on Twitter. Long took a break from using Twitter during the off-season but is now tweeting again. If you watch the interview I linked he is asked the question at about 1:00. Chris was talking specifically about the LeBron James situation. James, arguably the best player in the NBA and potentially one of the best in the history of the league, is in the midst of his fourth straight NBA Championship series of which his team has won the last two. The air-conditioning went out early in the game and by the last quarter James began suffering severe cramps. He was unable to finish. A lot of nastiness ensued from Twitter. James is both very popular and much hated. That’s its own story. 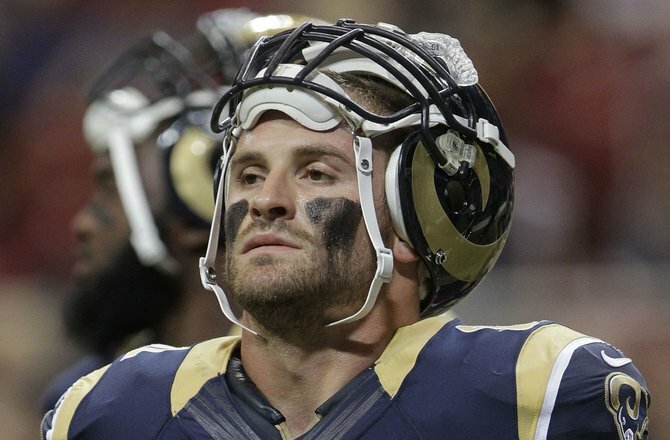 Let’s get back to Chris Long. “They probably think the same thing about me, but, oh well,” said Chris with a shrug. I can tell you for a fact that there are quite a lot of people out there saying extremely hateful things about Chris Long. I read comments on stories all the time. Long doesn’t “probably think” people are saying nasty things about him, he knows it. In Long’s return to Twitter he defended LeBron with supportive tweets. As a professional athlete and as a man who uses Twitter, Long cannot claim immunity from attacks or say that people shouldn’t be cruel. People have the right to say vile and nasty things about Long and James. That being said, I can only imagine the immense self-loathing that must fill a person in order for them to spew such awful things. I know some of my readers will think I’m exaggerating the level of vitriol on Twitter. I’m not. When you read some of the comments it is an “awful reminder of what’s out there.” The hate and the anger that boils just below the calm surface of our everyday lives. In your neighbor perhaps, or the person next to you in line at the grocery store, or a co-worker. It’s sobering to think of someone so close, so filled with anger. Would that everyone could worry more about themselves and less about others. And that’s what Long’s little speech reminded me. What is Libertarianism all about? It’s not getting to do what I want. It’s about having discipline, self-control, and a sense of personal responsibility so that I can do what I want and let you do what you want. Good for you, Chris Long. A tip of the hat. Why is Human Composting Illegal in the First Place? Why Does the Justice Department Care about the Academy Awards?